As we all know by now, Windows operating system is going to get a new version and it is not Windows 9. Windows 10 is the next version of the popular and widely used operating system by Microsoft and it has some really great features. Windows started providing their own version of a security software along with Windows known as Windows Defender back in a few versions of Windows. It will come bundled with Windows 10 as well but in this post we will see how to enable it. To be honest the Windows Defender isn’t a malware protection software that you should totally rely upon. Microsoft claims that it is one of the most effective virus and malware protection programs out there but the truth is that it is not. You need to either stay safe or else you will need an extra program that could cover all the stuff you think needs protection. But having a default alternative feels good and if you don’t use a PC over a network or just as a home PC then Windows Defender should just work fine. 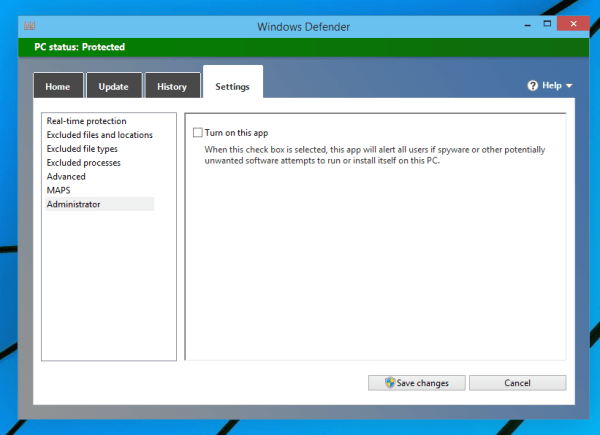 In this post I will tell you an easy method to turn on Windows Defender in Windows 10. Update: Windows 10 is now officially available for Download and we have updated the post. By the time of writing this post, Windows 10 isn’t launched officially but you can download the Windows 10 preview and try it. But be informed that this is not a full and complete version of Windows 10 yet. It has the term “preview” attached to it for a reason. A lot of stuff won’t work or you might have some glitches but those will improve overtime as the Windows developer team crosses out these bugs and glitches. Microsoft has made it easy for people to download and try Windows 10 Preview so you can download it from here. 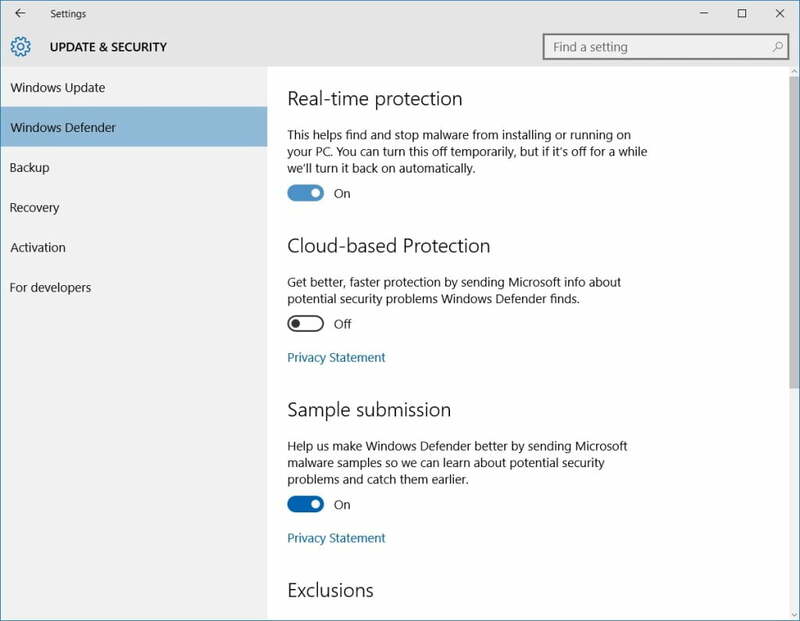 Now, coming back to the topic, let us see how we can easily turn on Windows Defender on Windows 10 by using this simple tutorial. 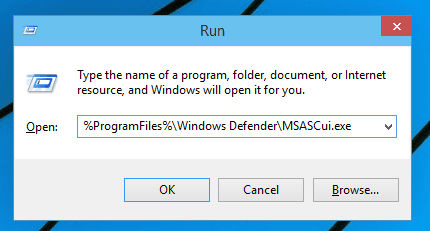 Paste the above given text in the Windows Run dialogue and press Enter. This will start the Windows Defender program and it should look like the image we have attached below. 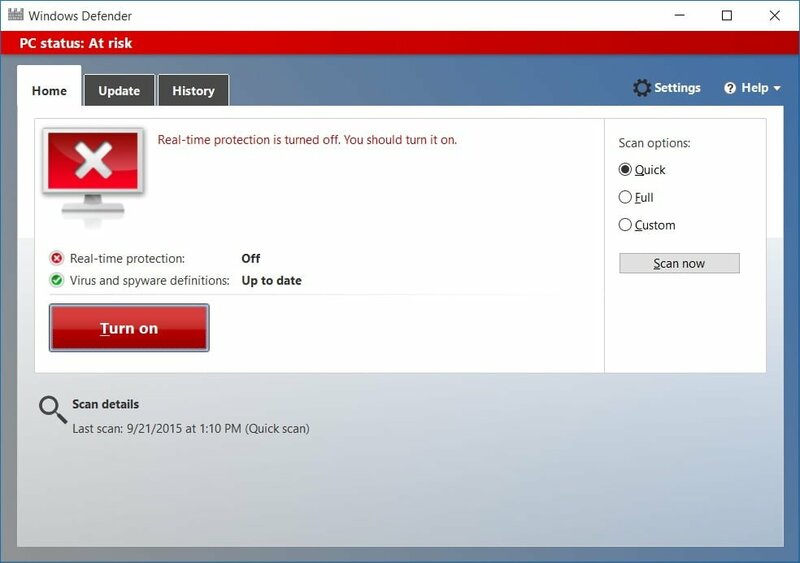 Go to the Settings tab and simply turn on the Real time protection to turn on the Windows Defender. You can even turn on the Cloud Based protection feature or use the Exclusions feature to exclude any file from scan. So this was a small tutorial that shows you how you can turn on Windows Defender in Windows 10.